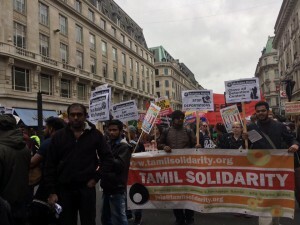 Tamil Speaking young activist, under the banner of Tamil Solidarity and Refugee Rights campaign, joined tens of thousands of young people to March against racism and to demand the fundamental rights for the refugees – including demands such as the right to work, close dentition centres and end deportation. 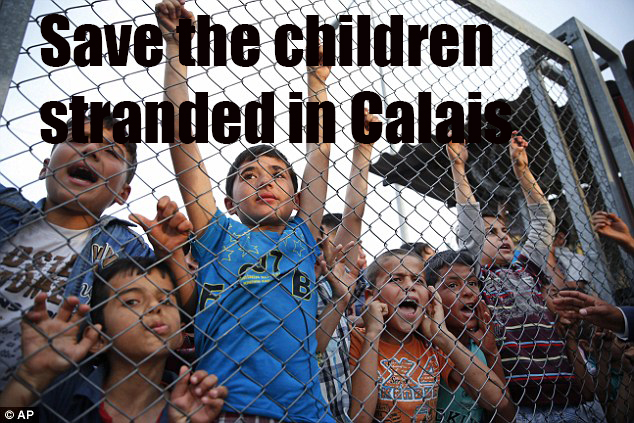 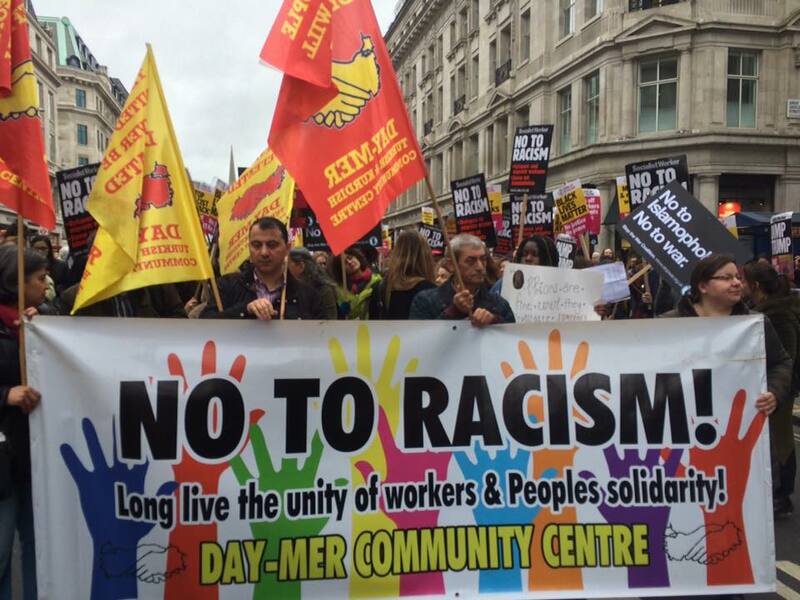 “It feels good to be part of a movement” were the words of a young Tamil refugee as she listened to the speeches made before the demo by trade unionist and campaigns. 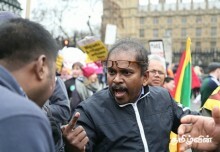 UNISON executive members (in personal capacity) Hugo Pierre and April Ashley also spoke and given their solidarity. 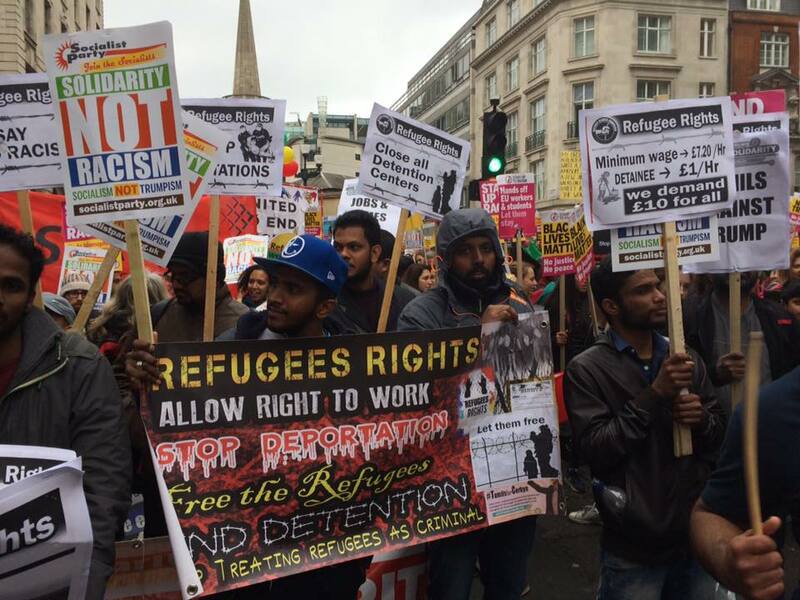 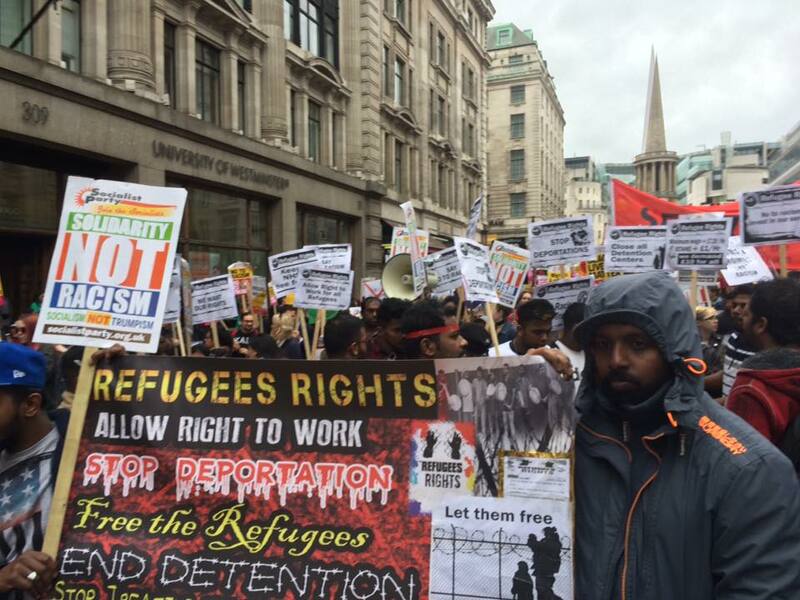 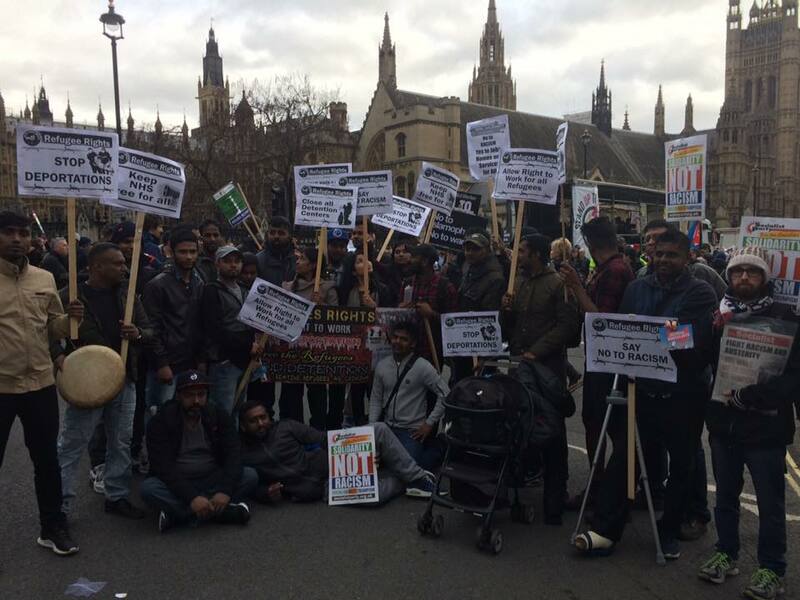 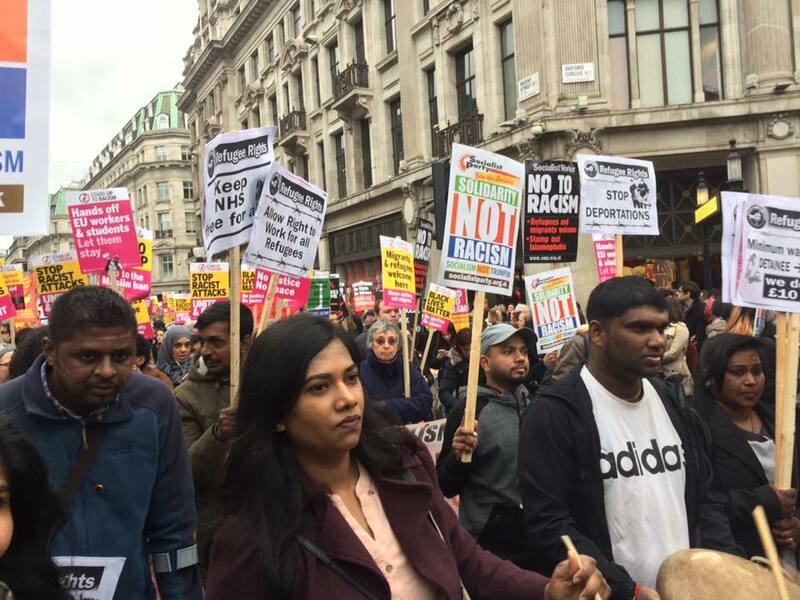 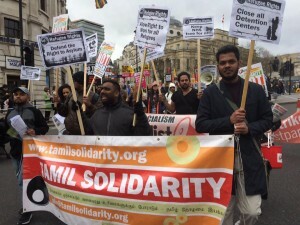 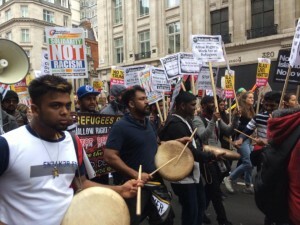 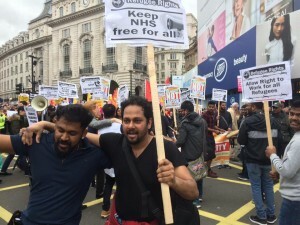 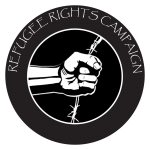 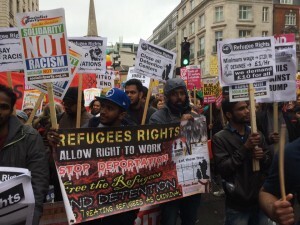 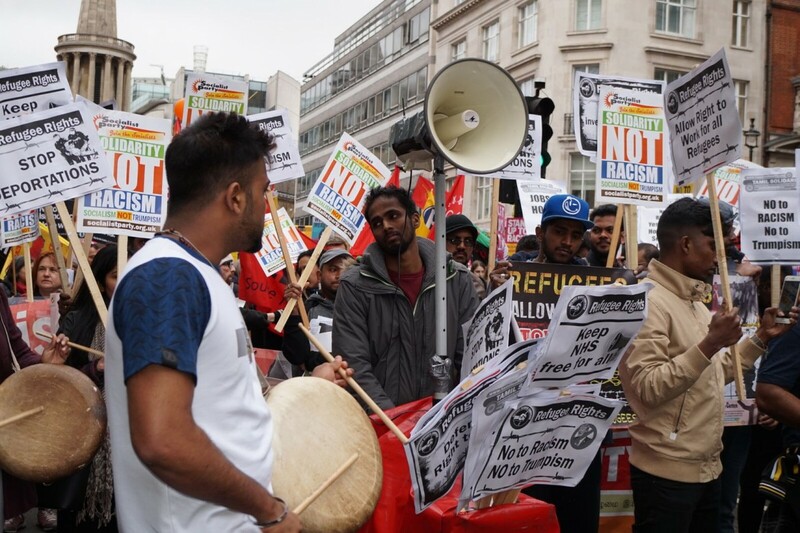 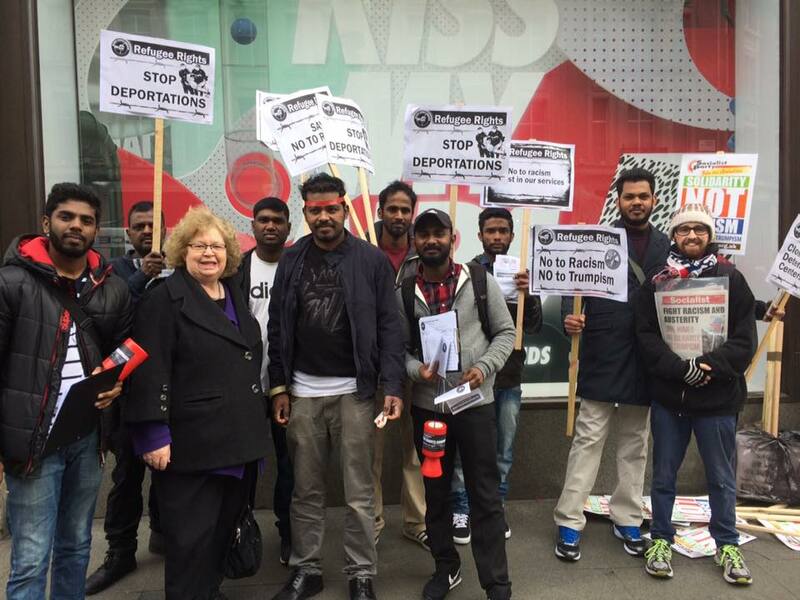 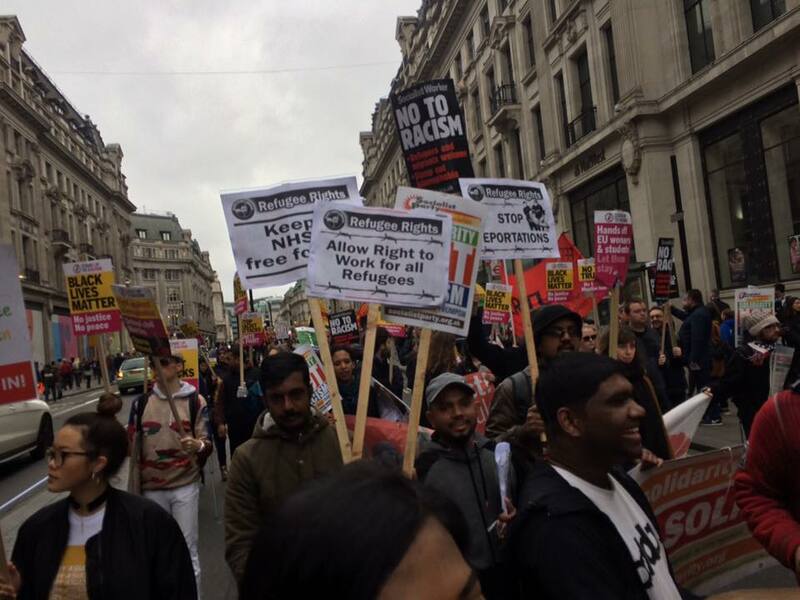 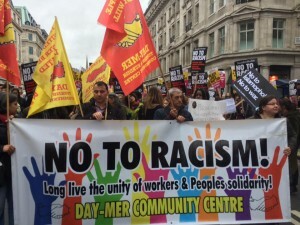 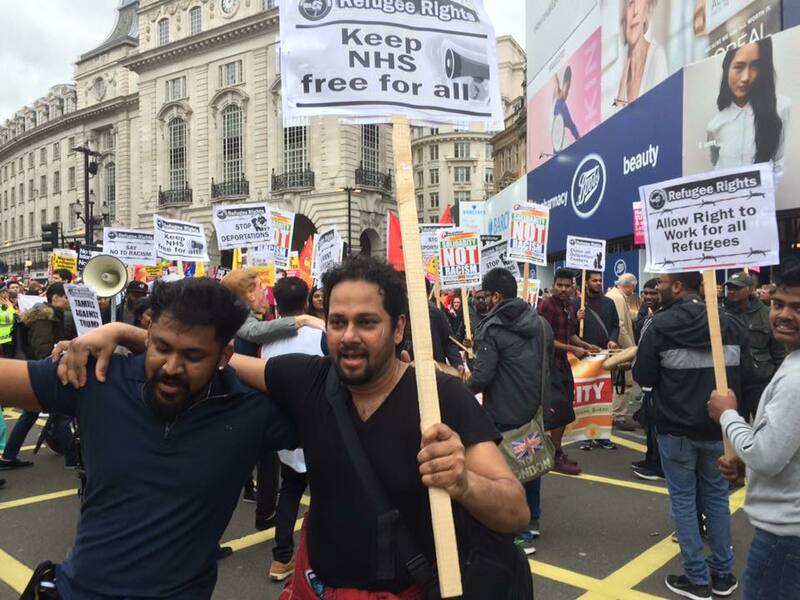 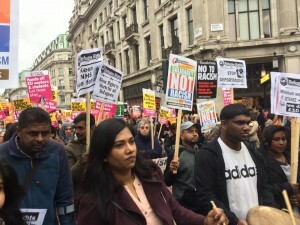 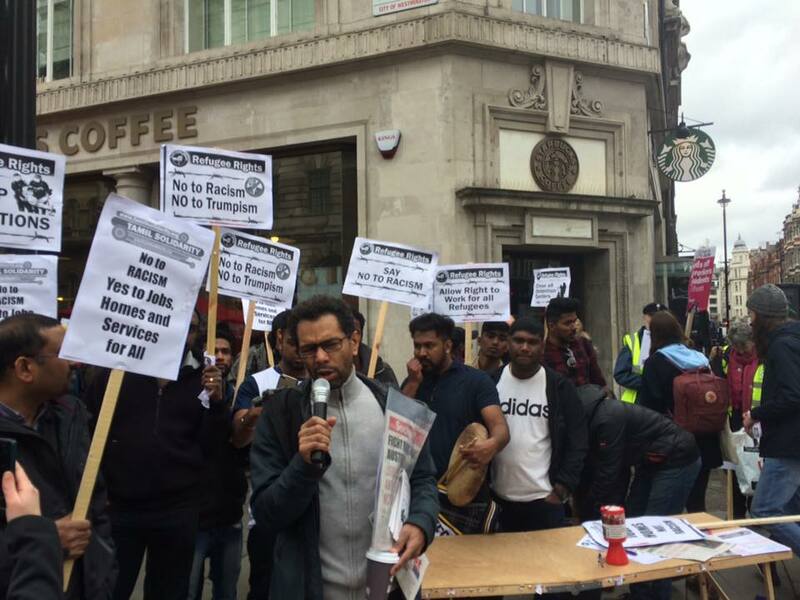 With drums, loud speakers and clear demands Tamil Solidarity and Refugee Rights campaign stood out in the demo as the loudest and boldest campaigns fighting for the rights of refugees.